1) Per attrarre il consumatore sul punto vendita. 2) Per associare il brand ad una esperienza coinvolgente e memorabile. 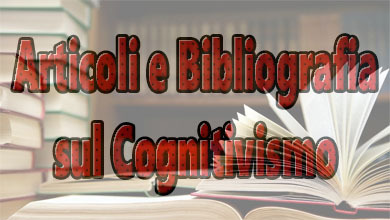 3) Per comunicare e dimostrare le caratteristiche del prodotto. “Autistic Spectrum Disorders Clinic.” University of Michigan Department of Psychiatry. N.p., n.d. Web. 18 Apr. 2014. This website was used to provide me with screenshots of how the U of M Health System treats autism spectrum disorders. I provided this to show alternative treatments in place of virtual reality therapy, since U of M does not yet have access to that. The screenshots are located in the My Findings –> U of M Health System tab. Bower, Claire. “Beyond Gaming: Virtual Reality in Healthcare.” BMJ Web Development Blog RSS. N.p., 27 Mar. 2014. Web. 18 Apr. 2014. This blog post describes ways in which virtual reality therapy has changed the treatment of post traumatic stress disorder. The post describes how VRT works, explaining how it makes users feel very present in the stressful environment and evokes real emotions. I utilized parts of this blog post on the “blogs” section of this website to display how the public views virtual reality therapy. Cherry, Kendra. “What Is Cognitive Behavior Therapy?” About.com Psychology. N.p., n.d. Web. 15 Apr. 2014. This website describes what cognitive behavioral therapy is, which is the other form of treatment used for disorders such as phobias or post traumatic stress disorder. I used this website to describe what CBT is in the “about” tab to show my website viewers what form of psychotherapy is used in place of virtual reality therapy if therapist don’t have access to VRT. DeAngelis, Tori. “A Second Life For Practice?” American Psychological Association. N.p., Mar. 2012. Web. 29 Mar. 2014. This article talks about ways in which technology enhances psychological treatments. I will be focusing on the part of the article pertaining to virtual reality therapy. The article mentions the use of VRT to overcome substance abuse. The article mentions some of the key beneficial aspects to VRT- for example, enabling clients to experience emotions in a controlled way. The therapist can control the sights/sounds/smells and start/stop VRT when it seems appropriate. This article adds to my research because it describes VRT, provides an example of its use, and describes benefits of it. Hoffman, Hunter G. “Virtual Reality Therapy.” Scientific American. N.p., July 2004. Web. Mar. 2014. This article describes different uses of VRT. It first focuses on burn patients, then phobias, and then PTSD. My main use of this article is because it provides an atypical use of VRT – using VRT for burn patients when they are receiving their wound care. They use VRT because it distracts them from the excruciating pain, more than a video game does, as found in the study. This article adds to my research by listing yet another use of VRT and its effectiveness. “Medicine Meets Virtual Reality 17.” WordPress. N.p., 28 Nov. 2008. Web. 18 Apr. 2014. I used this blogging site for the “blogs” section of this website to display an interview with a psychologist at the Virtual Reality Medical Center. The blog post described how VRT is used for PTSD, why it’s successful, if the patient’s condition could worsen, and what developments may be seen in the future. I utilized this blog post to show exact quotes from someone working at the virtual reality medical center and to provide my website viewers with a blogging website that discusses different ways virtual reality is used. Newman, Michelle G. “Technology in Psychotherapy: An Introduction.” Wiley InterScience. Wiley Periodicals, 2004. Web. Mar. 2014. This article describes ways in which technology has changed psychotherapy. It goes on to list many examples of technology. This article is contributing to my research by identifying key advantages and disadvantages of using new media in psychology – for example, a benefit is that technology allows for therapists to view exactly what causes their patients stress/gives good feedback. A drawback that’s mentioned is the potential destruction of patient-client relationship, but the article does go on to refute this drawback. North, Max M., and Sarah M. North. “Virtual Reality Therapy.” Elsevier Science, 2002. Web. Mar. 2014. This article contributes to many of the different aspects of VRT I plan to talk about. It offers an extensive description of VRT, how it’s used, what it’s used for, previous treatment before VRT, empirical studies done with VRT, benefits, and drawbacks. While this article proves important for all of the reasons listed above, the most important aspect of it was the table of empirical studies done with VRT. All of these studies proved to be effective in reducing anxiety, thereby proving the reliability and effectiveness of VRT. Also, this article mentioned an important difference between previous psychotherapy and VRT – VRT allows the patient to actually experience a virtual world, whereas in old treatments they only could imagine these scenarios in their head. “Occupational Therapist.” University of Michigan Trauma Burn Center. N.p., n.d. Web. 18 Apr. 2014. This website was used to provide screenshots of how the University of Michigan Health System treats burn injuries, since they don’t utilize virtual reality therapy for distracting burn patients. The screenshots can be found in the My Findings –> U of M Health System tab. Sainsbury, Ben. “Post Traumatic Stress Disorder Virtual Reality Therapy – A New Javelin Reality Project.” Javelin. N.p., 28 June 2012. Web. 18 Apr. 2014. This blog post was displayed in the “blogs” tab of this website. It describes how virtual reality therapy is used for PTSD and provides a positive perspective of VRT from the author of the blog post. This adds to my research because it shows how even though the public may not be very knowledgable about VRT, when they learn about it, most people will find it to be a beneficial form of treatment for many disorders. “Shaping Reality: A Chat With Virtual Reality Medical Center’s Dr. Mark Wiederhold.” Shaping Reality. N.p., 1 Jan. 2014. Web. 18 Apr. 2014. This citation is of a blog post that described the Virtual Reality Medical Center and provided comments from the president of the center, Dr. Mark Wiederhold. This blog post provides an interesting perspective of virtual reality because it contains comments from the VR Medical Center, which is the main provider of VRT. The blog post described how VRT is done and mentioned some of the benefits of the process. Portions of this blog post were used in the “blogs” section of this website. “Soldiers Get Virtual Reality Therapy for Burn Pain.” YouTube. YouTube, 10 Nov. 2008. Web. 18 Apr. 2014. This video provides an example of how VRT is used to treat burn injuries and why it is useful in this context. A complete summary of this video is located in the examples tab! Strickland, Dorothy. 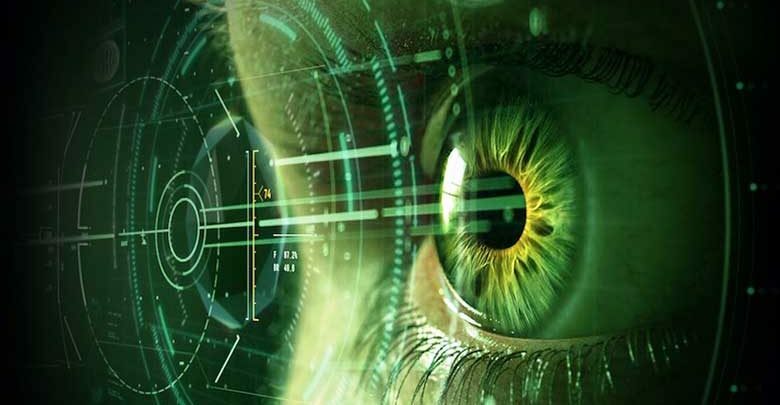 “Virtual Reality for the Treatment of Autism.” Virtual Reality in Neuro-Psycho-Physiology. N.p. : IOS, 1997. 81-86. Print. This chapter from a virtual reality therapy book is important because it provides another atypical use of virtual reality therapy. This study examined the use of VRT to help autistic children learn their environment better. Specifically, it taught them to recognize objects in a virtual world so that they would be better prepared for when they are in the real world. This adds to my research because it provides another usage of VRT, exemplifying how VRT can be used in many different ways and has proven to usually always help the patient control their fear or in this case, learn to recognize objects better. “Treatment for Anxiety Disorders.” University of Michigan Department of Psychiatry. N.p., n.d. Web. 18 Apr. 2014. This website was used to provide screenshots of how the U of M Health System treats anxiety disorders, such as phobias and post traumatic stress disorder. The screenshots provided from this website are located in the My Findings –> U of M Health System tab. Virtual Reality Battles PTSD. CNN, 2011. YouTube Video. I plan to show clips of this video [1:15-1:44 and 2:03-2:20]. It shows a man overcoming PTSD using VRT. It adds to my research by providing a direct example of virtual reality therapy being done for the class to see. “VRMC.” Virtual Reality Medical Center. N.p., n.d. Web. 18 Apr. 2014. This website was important for my research about virtual reality therapy because it is the website of the virtual reality medical center, which is the main treatment center for virtual reality therapy. The website provides information about what VRT is, how it’s done, what it’s used for, etc. I used this website to find out exactly how the main provider of VRT performs the treatment. “Virtual Reality Medical Center – VR Treatment for Posttraumatic Stress Disorder (PTSD).” YouTube. YouTube, 26 Mar. 2013. Web. 18 Apr. 2014. This video provides an in-depth explanation of the virtual reality medical center, what they do, how VRT is used – in this case particularly, for PTSD. To view a complete summary of this video, visit the examples tab! “Virtual Reality Treatment for Anxiety.” YouTube. YouTube, 17 Oct. 2007. Web. 18 Apr. 2014. This video was used to provide an example of virtual reality therapy for anxiety disorders, in this case – a phobia of subways. 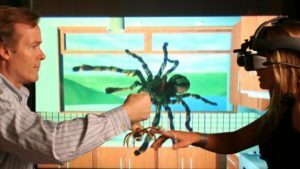 The video shows how the treatment of virtual reality therapy is done in the context of phobias. A complete summary of the video is listed in the examples tab.